Williamsburg Plastic Surgery offers aesthetic skin services. A treatment that improves the tone, texture, and clarity of the skin. It reduces or eliminates age spots, freckles, and hyperpigmentation, including melasma. It softens lines and wrinkles and clears acne conditions. The mildest form of chemical peels, glycolic peels gently exfoliate the surface layer of skin to expose the fresher, younger-looking skin beneath. They are ideal for roughness, dryness, sun damage, fine lines, and wrinkles. Treatments take only 10-15 minutes. Results are visible immediately, although repeated treatments are recommended for best results. As we age, the rate at which our skin sheds and replenishes itself slows down. This leaves a layer of dead cells on the surface of the skin, contributing to an aged appearance. Facials help exfoliate the damaged layer to reveal the younger, healthier skin beneath. Some of the ingredients used can be natural fruits and plant extracts, essential oils, vitamins, collagen, and elastin. Facials reduce the signs of aging and can also improve skin conditions such as acne, dry or oily skin, and uneven texture or pigmentation. Facials are tailored to each patient for optimal results. A process that includes a physical and chemical exfoliation to restore the look of aged or damaged skin. A gentle exfoliation treatment that helps to correct sun damage, acne, and acne scarring. Minimizes the appearance of fine lines and wrinkles. State-of-the-art Smartxide Fractional CO2 laser addresses fine lines, wrinkles, age spots, sun damage and acne scars. This treatment will thicken the skin’s collagen layer and help normalize skin color and texture, giving it a smoother appearance. It restores tone and glows to your face and neck. This treatment has little to no undesirable side effects and drastically reduced recovery time. As you age, your body loses much of its natural electrical energy, leading to a breakdown of collagen and elastin in your skin. This causes sagging, lines, and wrinkles. Beneath your skin, the facial muscles are affected by years of repeated facial expressions and gravity. Microcurrent treatment is a non-surgical face tightening technique to fight these effects. It works by applying a painless electric current into the skin’s cells and tissues, as well as the facial muscles underneath. This tightens the skin and facial muscles, giving your face a more youthful appearance. The microcurrent treatment works by emitting electrical frequencies that mimic your body’s own electrical signals. This speeds up cell metabolism and elimination of cellular waste and impurities. It also helps your skin rebuild its collagen and elastin, which restores your skin’s firmness and flexibility. The benefits of microcurrent treatment include improved skin tone and coloration, reduction of fine lines and wrinkles, and firming of sagging areas of the face. Waxing is a convenient and effective way to remove unwanted facial or body hair. We offer to wax for all parts of your body, including eyebrows, upper lip, underarms, legs, back, bikini, and anywhere else you might have undesired hair. After a waxing treatment, you can expect to leave with smooth, beautiful skin. At the end of the treatment, we will apply a soothing lotion, ensuring your comfort and maintaining the softness of your skin. Because the waxing removes hair at its roots, the hair will not grow back for several weeks. Please Contact us for prices and monthly specials! 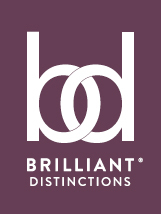 Join the Brilliant Distinctions program. It’s easy, and free! Earn rewards, bonuses, & discounts throughout your facial aesthetic journey with ASPIRE Galderma Rewards program. Start earning points right away! To learn more about the aesthetic services at our office in Williamsburg, VA, please call (757) 345-2275 and schedule a consultation today.